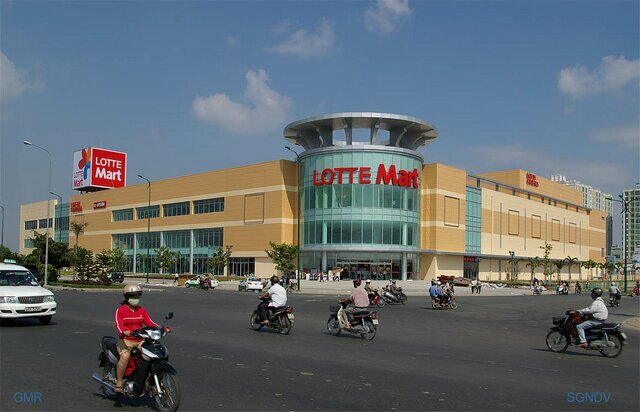 They have everything from food, grocery, electronics to cosmetics!! 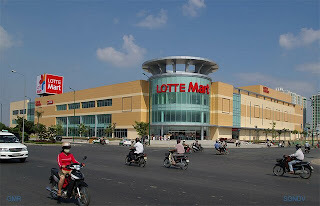 It's like... Superstore, Shoppers Drug Mart and London Drugs all combined! 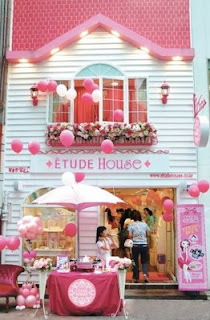 the whole shop is based on the color pink, with princess designs and furnitures!! My boyfriend always laughs at me..
when he sees lots of girls shopping like crazy and trying out nail polish, he said "many princess are healing their princess syndrome..."
They have tonnes of selection and colors for eyeshadow, nail polish, lip stick, mascara, lip gloss and etc..... anything you can think of to make you pretty!! 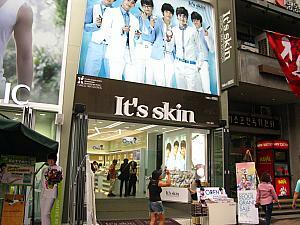 They even have BB cream and mascara for MEN!!! These are for my customers and myself. Their products absorb very easily into the skin!! 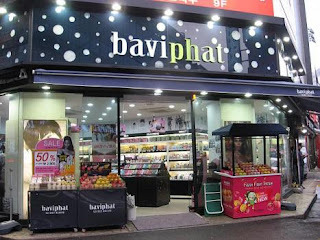 After I bought from this shop.. 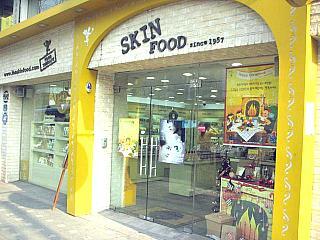 I saw a Skinfood in Dongdaemun (Doota? 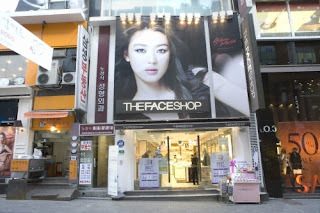 ), there's 10% discount + tax free!!! I regret so much!!! 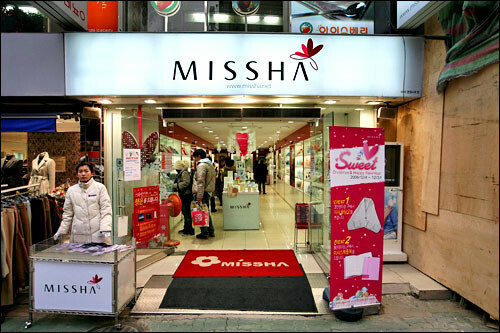 Missha has tonnes of make up as well!! 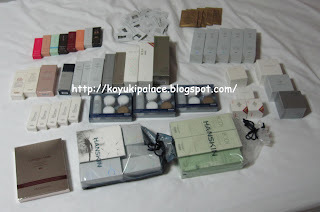 I bought a whole bunch of eyeshadows there were like ~2000 won each!! Their sheet mask is thinnest!! super good!! 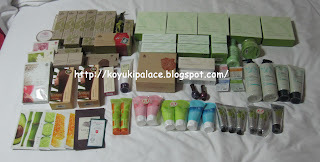 I spent a lot in Innisfree!! 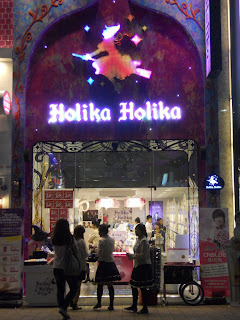 uses the color purple for their theme, gives a very magic kind of feeling!! packaging is fun and cute!! 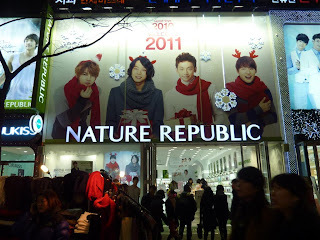 I was shopping in Myeongdong and saw a shop having great sale 30-50% discount!! there's quite a lot of free stuff and samples from duty free too!!! 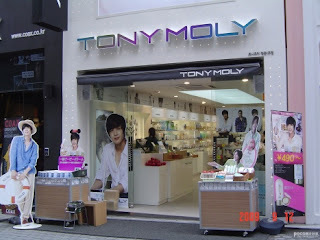 Tony Moly has some really interesting products!! 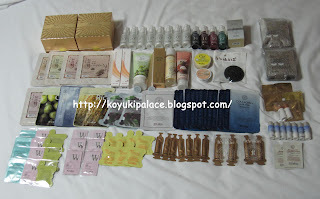 so I bought like 150,000 won... but they don't give you much samples at all!!! 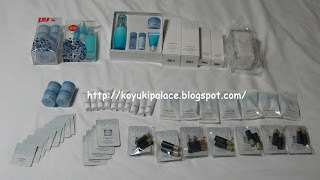 They gave me so so so many samples!!! 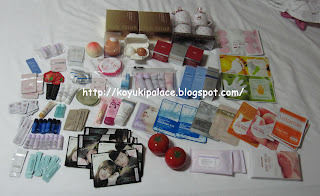 the items below (3rd, 4th, 5th, 6th row) are all free!!! I bought 23100 won and they only gave me 1 mask sheet!!! 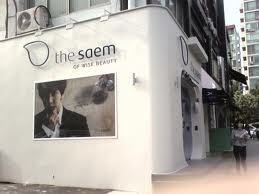 I really don't wanna buy at that shop but only that store had the product I was looking for!!! Just came in time for their event!! Bought the pink set for 69,000 won, total 9 pc!! Bought the gold set for 69,000 won, total 8 pc!! The rest are all free!! 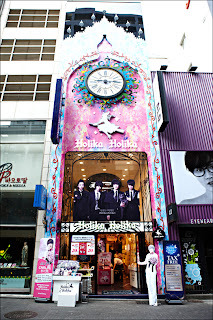 there's also a place for resting, you'll see many guys hanging around!! this brand is ~3 years old?? their website and interface looks almost the same!! big stores will give out more samples!! Some of these were 50% off, I ask my supplier to get them for me then ship to hotel. retail stores are so expensive!!! I bought most of the items at Watson's!!! I suggest buying in the airport duty free, cause airport has tonnes of coupons!!! Hanskin has 10 year anniversary!! tonnes of discounts!! 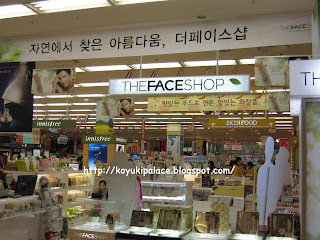 some products are 90% off!!! 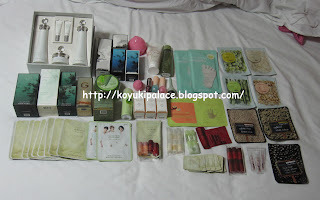 cleansers, toners, serum, eye cream, face cream, mask are all 5 for 20000 won!!! 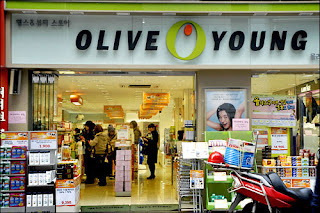 if you spent 80,000 won, they give you 4 full size products!! so... as expected... 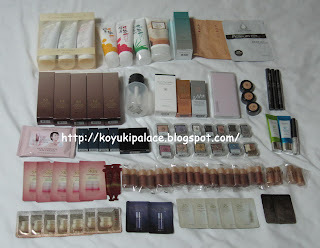 I bought 24 products for 80,000 won!! the Japanese just loves it!! They gave me Magic BB Night Cream 10mL x 4 for FREE + a whole bunch of BB cream samples!! Magic BB Night cream is so good!! It's not overly rich! absorbs fast, moisturising but not greasy and feels just right!! the gold packaging looks so elegant!!! I didn't buy much, only bought a few sheet masks! 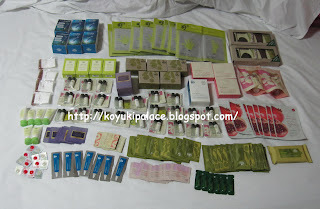 江南店 gives sooo many samples!! The Korean salesgirl is sooo nice!! so.. of course I didn't buy it!!! I ask her to give me more samples, she has absolutely no problems!!! 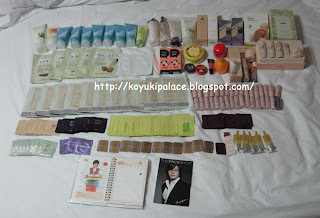 at the end I bought 1 bag and got 1 full bag of samples!!! Basically everything on the bottom of the picture (most left hand side, bottom and most right hand side) are all samples!!!! I was gonna record how she stuff samples in the bag ha ha!!! I kind of regret not buying anything... 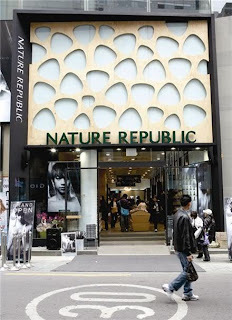 I should have buy something to try out this brand!!! I love these "brand name" socks!!! 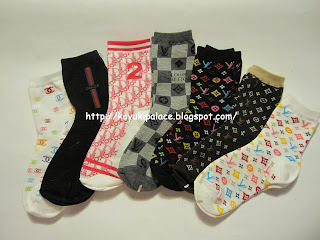 There's LV, Chanel, Gucci, Hermes haha!! 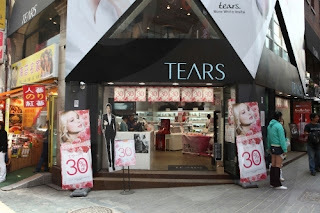 1000 won for a pair, I bought 10 pairs!! yes after 5pm!! 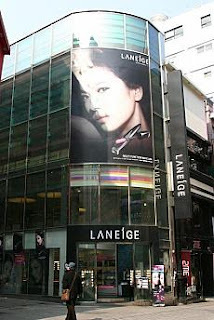 that's when Myeongdong becomes a lively town!! then he pushed me away.. what an idiot!! if you don't wanna give discount, just say no, no need to touch me!! lots of Japanese were buying these too!! 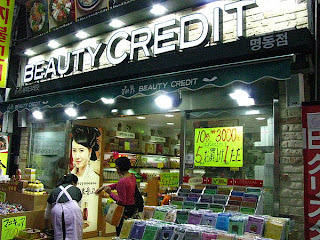 so useful information, wish I could visit Korea soon. Thank you!